If you're experiencing game crashes, missing objects, or other minor glitches in the PC version of Rise of the Tomb Raider, try verifying the integrity of the game cache in Steam. If this simple fix doesn't help, it certainly won't hurt. 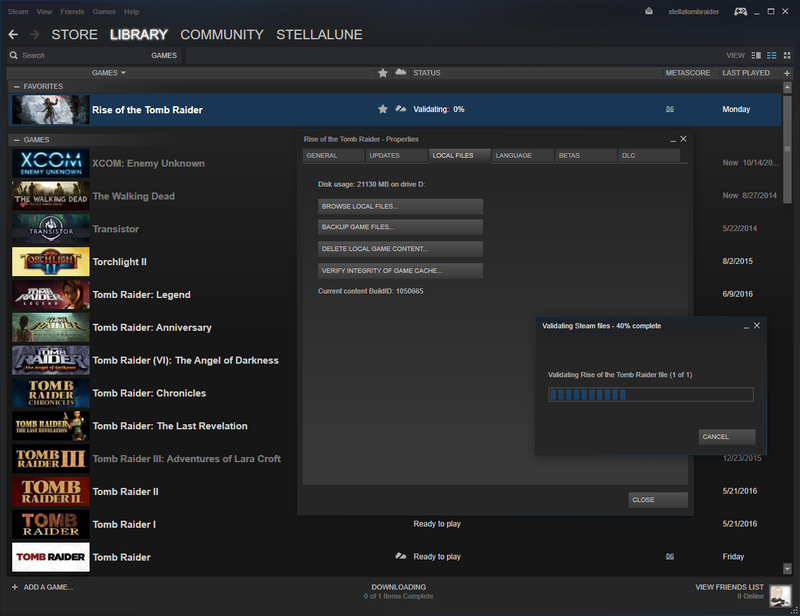 Right-click on Rise of the Tomb Raider. Now let it run until the process is complete. (screenshot) This can take several minutes. 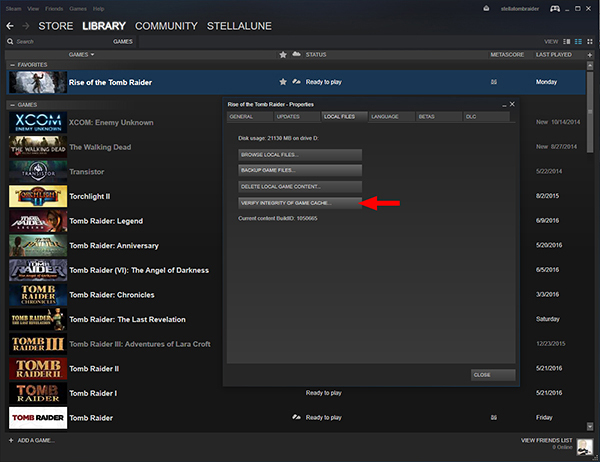 It should repair any corrupted files in your game installation but won't affect your saves or progress. 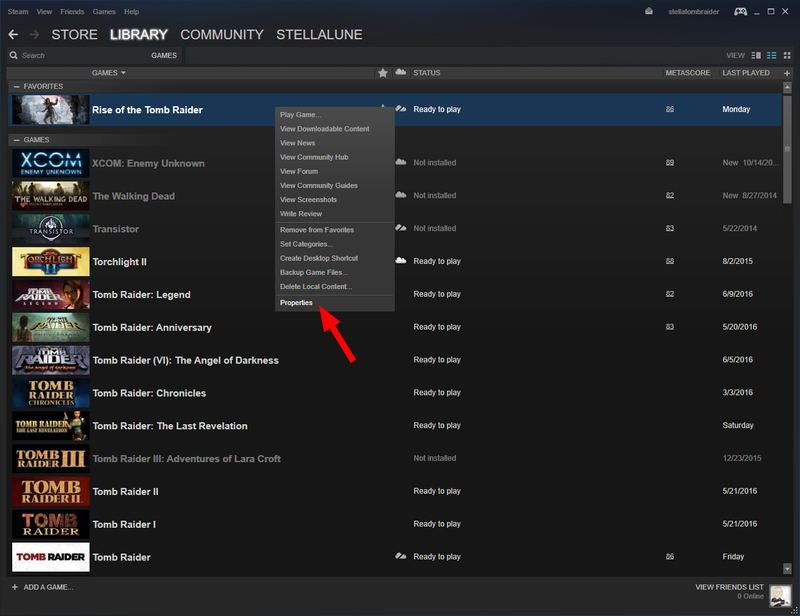 For more information, see this topic on the Steam Support Knowledge Base. If you're still experiencing problems after running through these steps, visit the Square Enix ROTTR Support Forum and/or put in a support request through the Square Enix website (North America/Europe). 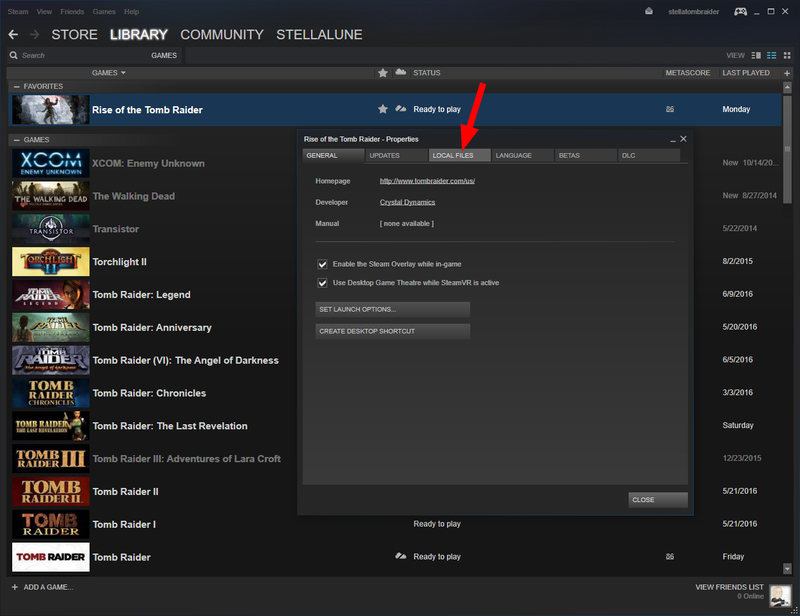 Verifying the integrity of the Rise of the Tomb Raider game cache in Steam.